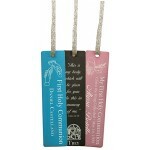 Aluminum bookmarks are 4x1. 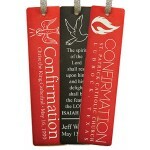 Great as a personalized touch for a prayer book or for a CCE class! F..